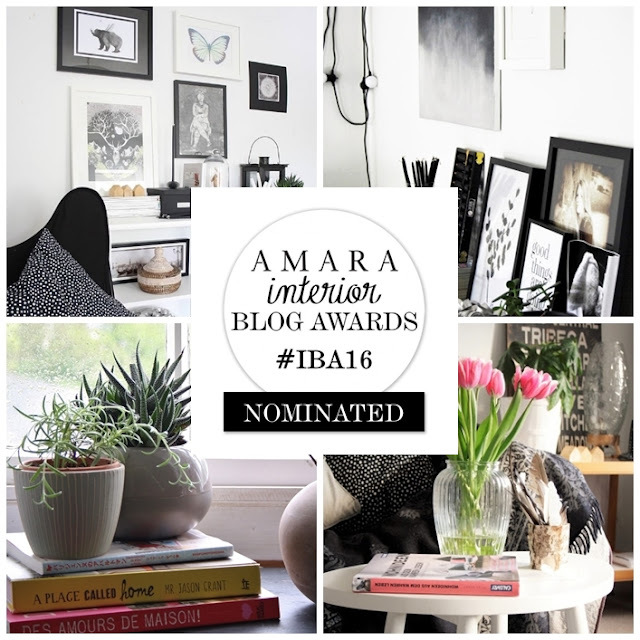 Amara Interior Blog awards 2016. If you haven't heard already the Amara Interior Blog Awards are back for another round of blog celebrations, and I'm happy to say that I have been nominated again this year! If you like what I do here, I would really love to have our vote, I'm currently nestled in amongst some fab bloggers in the category of 'Best Design Inspiration' blog. To vote for me just follow this link and fill in the simple form and that's it job done! Thank you so much for your support. Where do I have to go to vote ?